Because Isla del Cano is a Biological Reserve, Gregory had to slightly modify his regular diving accessories this morning. Instead of suiting up with his speargun and dive knife, things were significantly simpler (and less deadly) splashing in with nothing but his awesome birthday gift from his parents. The new underwater camera! 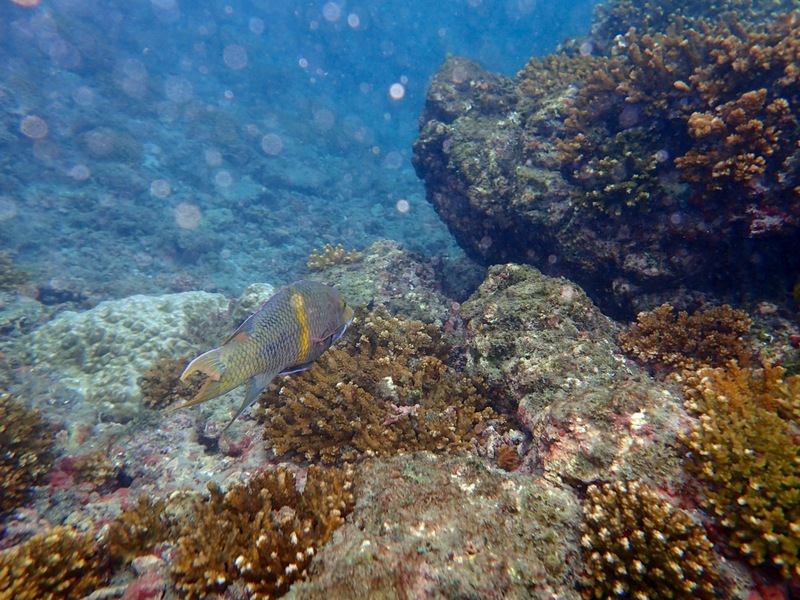 In the clearest waters we’ve seen since the San Blas, we spotted all sorts of colourful reef fish. 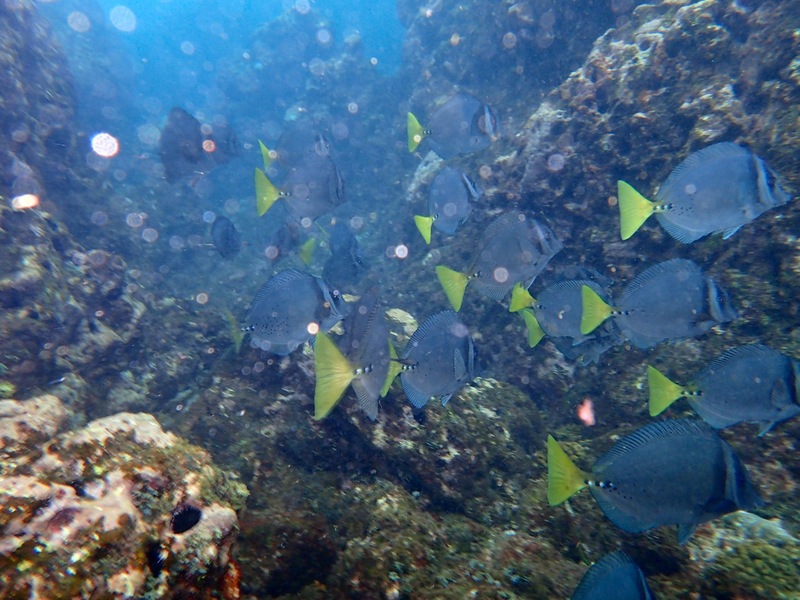 The standard parrots, angels, and tangs were all present, doing their thing in the reef. 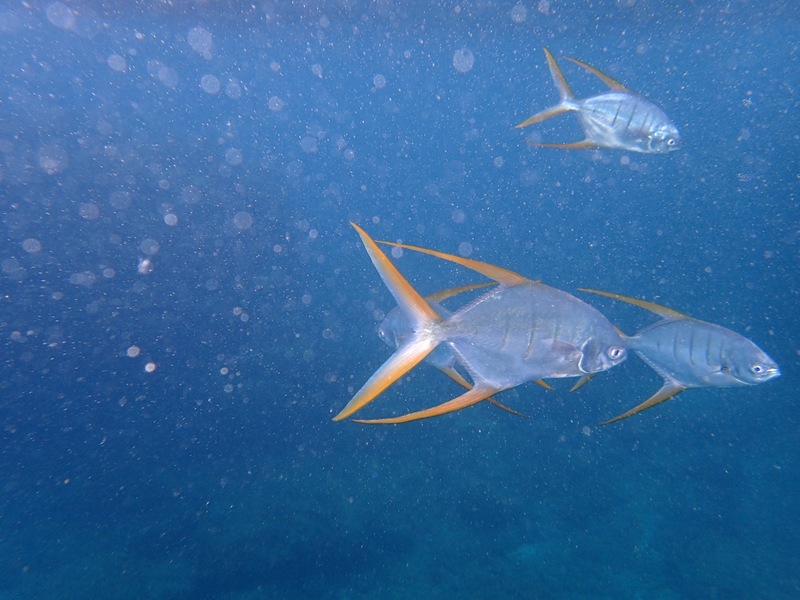 And a new sight to me were small pompano with long, pointy fins cruising around right under the surface of the water. 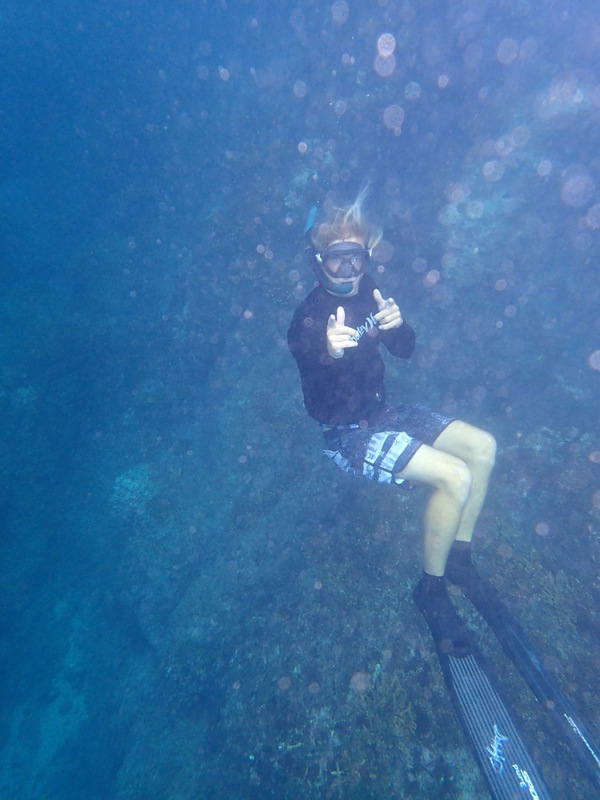 After checking out some of the interior reefs, Greg and Kancer headed out to an outlying bomby where the super schools were waiting. I’ve slapped together a quick little video of the sights Greg captured. 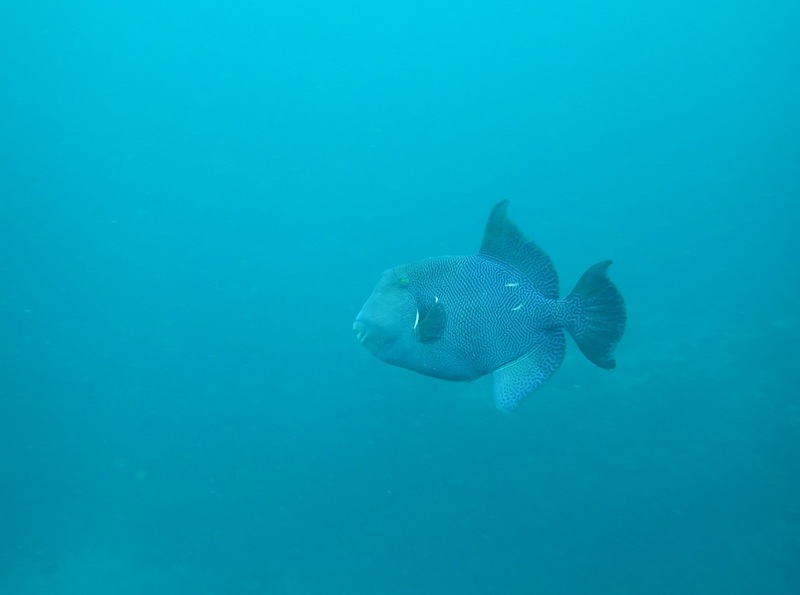 When watching it you may actually become dizzy with the amount of fish seen, or perhaps it’s just Gregory’s videography skills? Nonetheless, there were soooooo many fish! 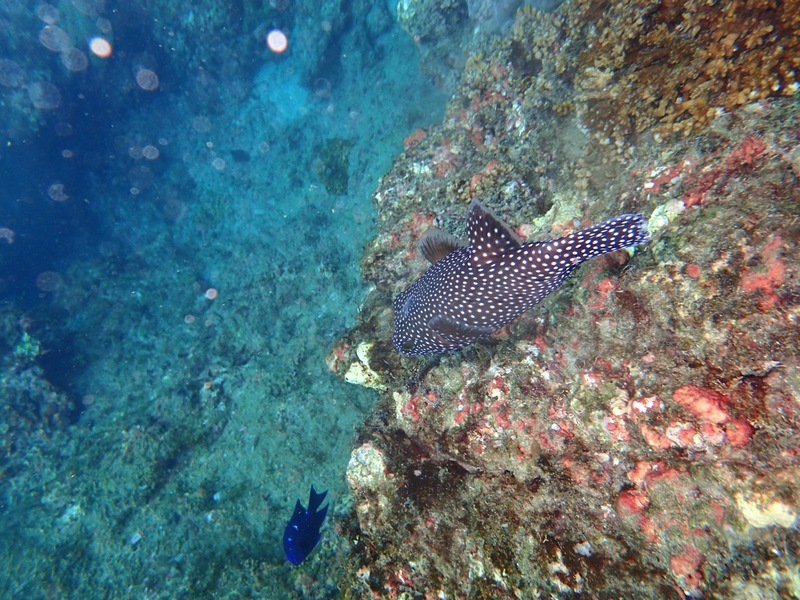 This fish is really into polka dots. Diving down to check out the coral. 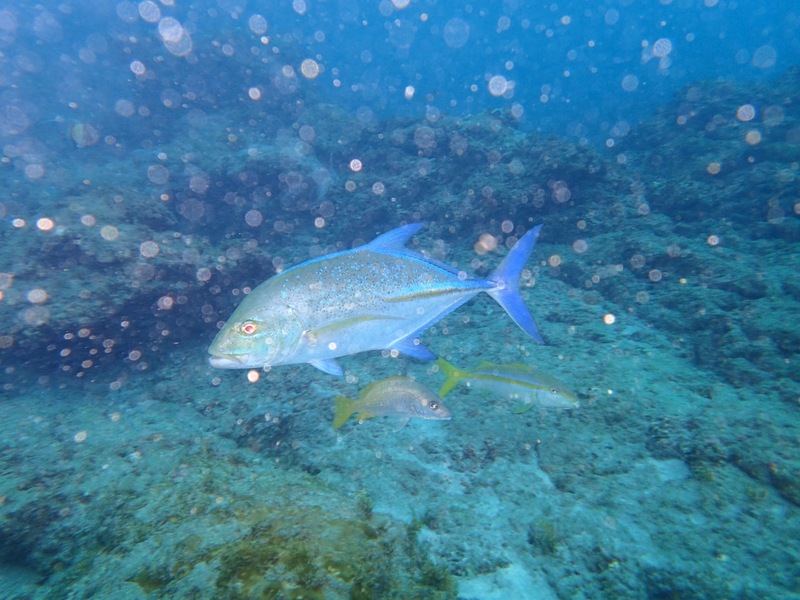 This blue jack’s blue fins, lines, and dots seemed like they were glowing! 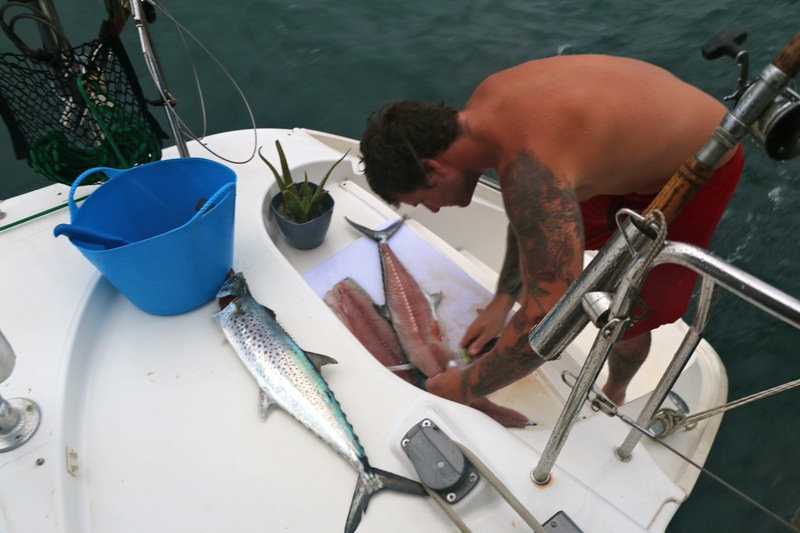 Check out these guys colourful tails. G Fresh, oh so comfortable way under water. Almost blending in to his surrounding, but not quite. 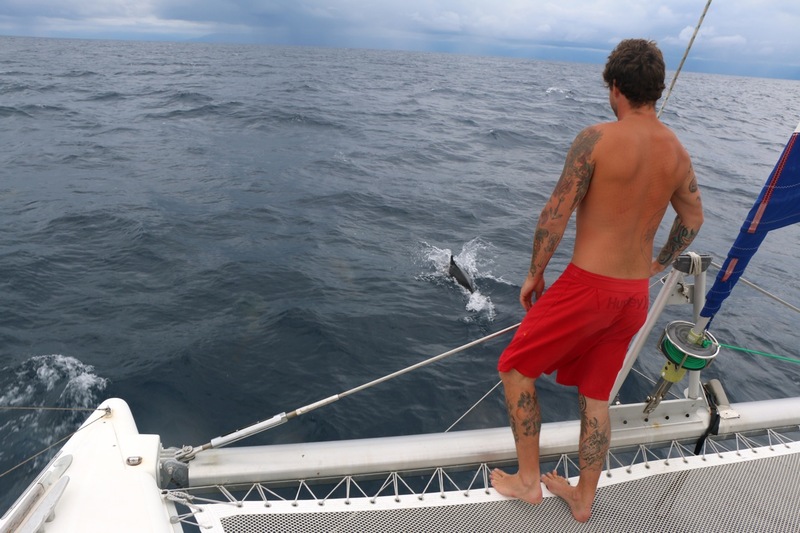 Back on the move, and the first thing we spot is dolphins. A sign of a good passage to come. A squall hit as we were nearing our Dominicalito anchorage. 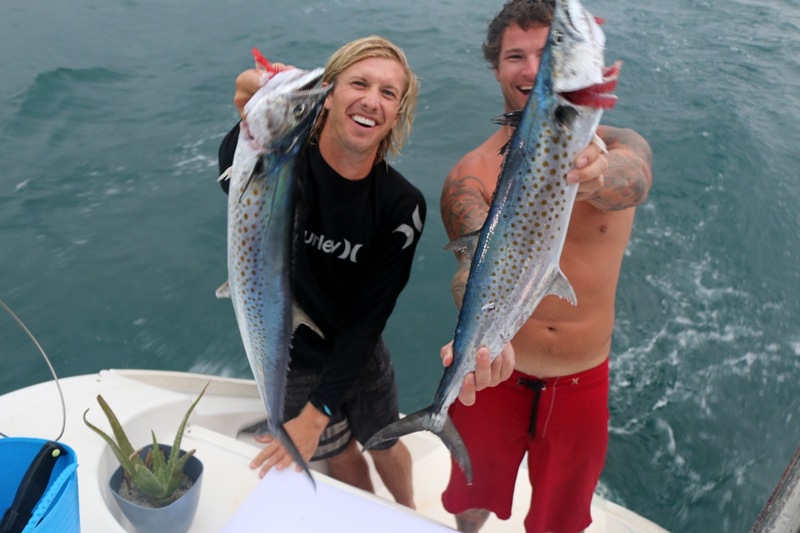 That’s when a double header struck and these two reeled in a pair of tasty mackerel. Thanks Mick! How are things back there? Hope you’re having a warmer winter than last year!